Converting Millions of Images Annually! 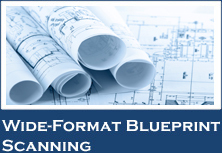 Advanced Data Solutions is an industry leader in microfilm and microfiche conversion. We have been providing our services for over a decade at the forefront of technology developments and standards. Replace Outdated Microfilm and Microfiche readers with current technology at affordable pricing. Call us today for a free quote of your microfilm and microfiche conversion at 813.855.3545. Advanced Data Solutions uses Mekel Scanners, the most advanced roll film, microfiche and card scanner systems on the market today. Designed to handle 16mm and 35mm film, various microfiche and jacket formats, our scanners create superior image quality at high speeds resulting in SIGNIFICANT COST SAVINGS to our customers. 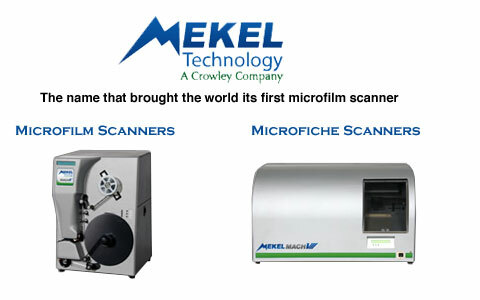 Advanced Data Solutions utilizes Mekel’s next generation roll-film scanning and processing software technology. 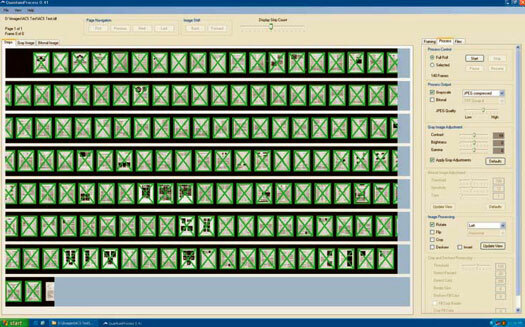 Through Quantum Scan, each roll is scanned and captured as a large continuous file providing full capture of all images. 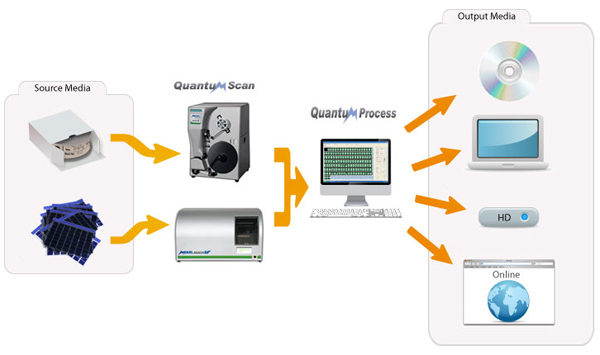 During QuantumProcess, individual images can be adjusted for brightness and contrast providing superior image quality. All frames are sized, identified and separated into individual files for full capture. Superior Equipment, Software and Technology > COST SAVINGS! While it is common for records conversion companies to outsource Microfilm / Microfiche Conversion Services, we mandate all work be performed in-house. Your media will never be shipped to another large imaging warehouse or operations center overseas. We maintain all equipment at our secured premises providing complete security and climate control areas. Media is only shipped between our conversion facility and client storage areas. 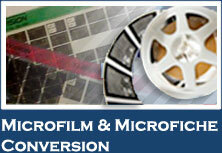 Microfilm conversion is priced on per image or per roll basis. Image counts on 16mm film can range from 2,000 to 10,000 per roll based on the original document sizes and filming techniques. Image counts on 35mm film approximate 500 images per roll. Conversion cost for film will approximate $20 - $75 per roll based on volume, film quality, film consistency and image quality. Microfiche conversion is priced on per image or per sheet basis. Image counts on 16mm fiche vary dramatically based on sizes and shapes of original source documents. 35mm fiche cards typically contain wide format images from original blueprints or drawings and each card will hold from 1 to 6 images. Conversion cost for fiche will approximate $2 - $10 per sheet based on volume, fiche quality, fiche consistency and image quality. At Advanced Data Solutions, we understand records and records management. Our years of conversion, indexing and compilation expertise save our customers time, money and labor efforts. We are here to make an otherwise painful process, seamless and tireless for our customers. We undertake the burden, labor and technology decisions necessary during both small and large conversion projects. Historically, microfilm and microfiche has been utilized for long-term or permanent record storage with retention periods in excess of 15 years. In today’s environment, many organizations are choosing to convert all microfilm to digital images to provide storage within Electronic Records Management Systems and immediate network or web access for records requests. Silver-Halide Film produces images of high quality and is used universally for original camera negative (first generation) microfilm. Its potential life-expectancy rating of 500 years makes it suitable for archival records. It has rigid environmental requirements, however, and deteriorates rapidly if exposed to high temperature or humidity, or frequent handling. Its primary use is as a security and is frequently stored off-site. Diazo Film is a polyester-based film coated with an emulsion of diazonium salts. Its storage requirements are somewhat less demanding than those of silver-halide film, and it can normally be stored in a filing cabinet in a climate-controlled office environment. Diazo Film is often retained on site for reference purposes, as it can sustain heavy use without scratching. Dry Silver Film is another, less common type of film. It is typically used in producing computer output microfilm (COM). The ideal storage temperature for microfilm and microfiche is a constant 65 degrees; relative humidity should remain between 30% and 40%, with fluctuations in temperature and humidity not exceeding five degrees or five percent during a 24-hour period. We find that most film and fiche has not been maintained within temperature and environmental guidelines. Thus, it starts to deteriorate over a period of years. As image quality decreases, records managers often choose to convert this media to digital format to retain the highest image quality possible.